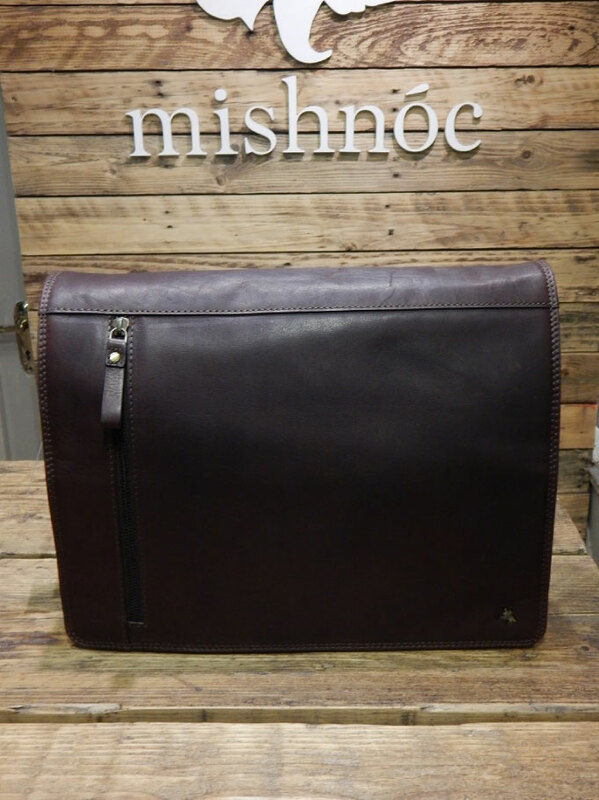 This classic buffalo leather messenger provides a great lightweight durable carrying solution. : Measurements 27cm x 36 cm x 12cm. : Closes using high quality magnetic catches. This product is manufactured from premium buffalo leather. 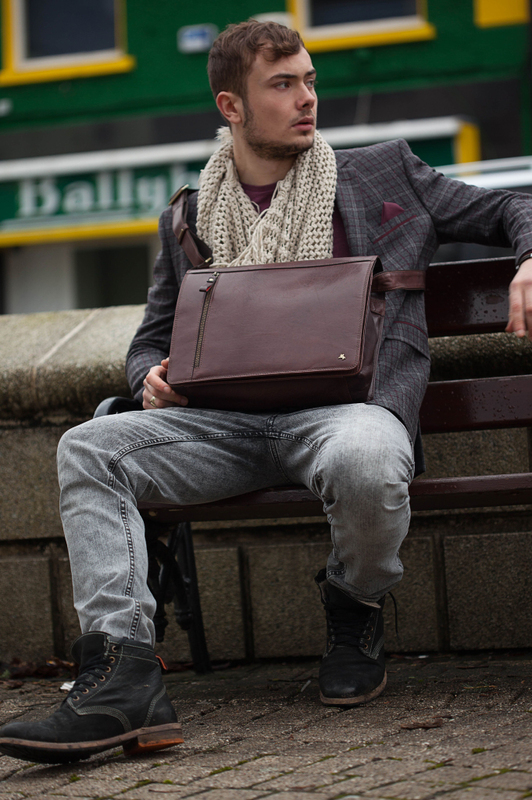 This leather has a sumptuous feel and over time will age by softening further. The look of the leather will not change significantly. 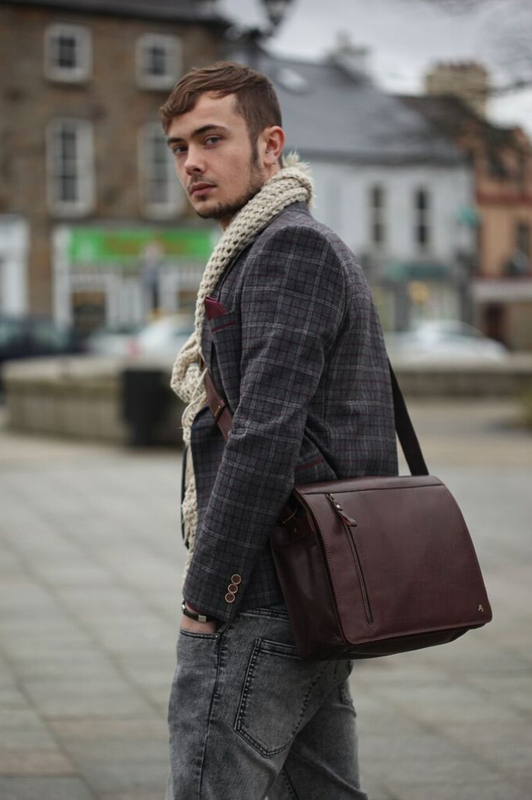 There is a nice example in our store of how this bag has aged over two years of wear. No two leather products will ever be the same shade or develop the same patina due to the natural properties inherent in natural leather. We like this. We recommend a good water proofing spray for this product available in our accessories store here or any good shoe shop. This is a great product, I bought it as a gift and he was absolutely delighted with it. 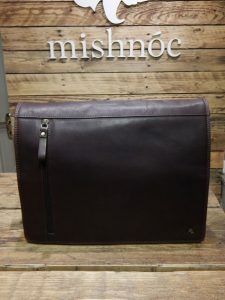 The quality and finish of the bag is excellent! Delivery was quick and also the Customer service was excellent. I contacted Mishnóc with a few queries and always got a prompt, friendly & helpful response. Great bag, have gotten so many positive comments about it. The color of inside lining is a great touch, and looks great. Also the customer service was great. I ordered the bag while I was working in Chicago. I was planning a trip back to Ireland for a few days and Patty was great in ensuring that the bag was delivered on time before my flight back.